Garden design is a major part of landscape Architecture. Study of the landform helps facilitates site planning and landscape design. Topography and slopes determine framing, screening of views, plant growth with which the former is achieved; siting of built surfaces and artifacts in landscape. However, the topography and the associated slopes when based on geology and soil characteristics assist in economic and sustainable landscape design. All of landscape design ultimately depends on soil and water retention. At large or small scale, the shape of the earth indicates geological forces at work or of modern landuse, hints at the work of our ancestors or of ancient people. The shape of the earth has primary consideration since reshaping has to consider existing levels within and adjacent to the site. This avoids flooding and accommodates surface drainage enabling quick reuse of the site after rain. In small sites ground modeling can give depth and mystery to the site in directing the view and the focus of the user. At its most elemental earth shaping is a sculptural concept, a rearrangement of mass and void, a subdivision of space. Technical conditions for stable earth shaping are contouring and slope stability. Existing drainage systems, swales, streams, gullies seasonal floods need to be recorded through survey. Settlement and consolidation of new slopes has to consider existing trees that may become unstable or die due to absence of water retention in new slopes. Slopes need to accommodate access to all parts of the site and for planting and landscape treatment. Forestry – 1 in 4. Grass does not grow well in 1 in 1 slope. Machine mowing slopes are usually 1 in 4. Grassy slopes for pedestrian use should be 1 in 10 for comfort or else tend to get muddy. Football and other grounds – 1 in 30 to 1 in 80. Slope and Planting depend on quality of subsoil drainage since waterlogged sites are unstable and the soil itself is devoid of air necessary for roots. The soil water flows through these spaces and carry bacteria. Roots tend to go deeper in fast draining soil leading to healthier soil and stability. The open and healthy nature of soil that is ideal for plants can be achieved cultivation, drainage and applications of compost. Soil is created when living organisms colonizes mineral detritus. It is the interface between the solid rocky globe and the biosphere; the term for the mere life-supporting elements , oxygen above all that envelops us. It is normal to distinguish between the top soil, where the marriage of rocky matrix and biological life has gone furthest, and the subsoil where the influence of the biosphere is comparatively slight. The significance of understanding the landform lies in the fact that designing plant groups belonging to those specified in specific slopes and soil type, will thrive with least maintenance with substantial savings and sustainability of designed landscape. This entry was posted by Benzu JK on January 12, 2010, 4:31 pm and is filed under Landscape. You can follow any responses to this entry through RSS 2.0. Reminds me for some reason of iceage burial grounds, beautiful use of space. Technology has contributed a lot to the art of landscaping design. They said that nowadays landscaping is much easier using landscaping design software. I am having some difficulties on what design to use, does landscaping design software can give me loads of ideas in creating my lawn or yard? Can that tool, can carefully plan my design including the dimensions and the type of materials that I will need? Please give me advice? Thanks! more information about theory of architecture. its a big help for us..
Wow! what great job u made! its so beautiful, i love the castle lake specially the shape, thanks for sharing thid post and congrats! Where is the Castle Lake garden? Its beautiful. 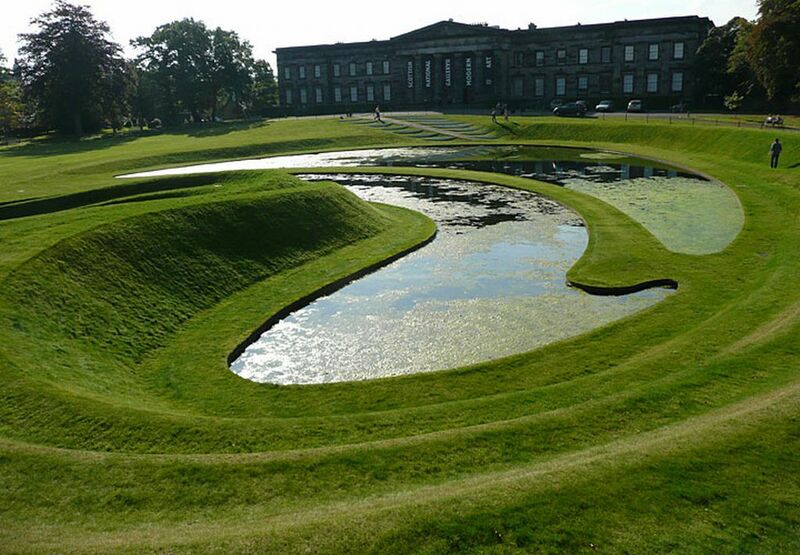 I think Landscape Architecture is not just about knowledge on how to create garden design. It’s also about passion on what you do. If you have the passion, you will have overwhelming ideas and imagination to put together to have the greatest landscape.